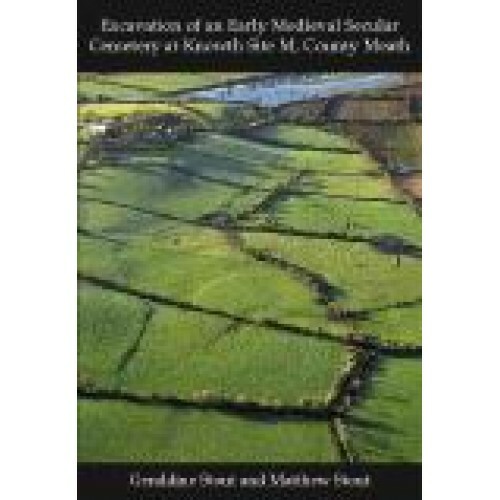 This report describes the results of three seasons of archaeological excavation that took place between 2002 and 2004 on a complex of earthworks (Site M) north-east of Knowth passage tomb cemetery, County Meath. Excavation over twelve weeks revealed three main phases of activity: linear trenches and a cluster of irregularly shaped pits; a cemetery enclosed by two subcircular ditches of sixth- to tenth-century date and a later external earthwork constructed in the early medieval period. Evidence for agricultural and manufacturing activity within the enclosures was also identified. In addition, large quantities of unstratified prehistoric lithics were recovered. Knowth Site M is an early medieval cemetery with no ecclesiastical associations and can be compared to a number of important early secular cemeteries discovered in recent years in north-east Leinster. A third and final season of excavations has confirmed that an enigmatic series of earthen banks and ditches was an ancestral cemetery. Only fields away from the world famous passage tomb at Knowth, the monument known as 'Site M' has been in use as a burial-ground from the time of St Patrick to the tenth century. Publication Data Published 2008, 190pp, illustrated.